Do Hedge Funds Love Broadcom Inc (AVGO)? At Insider Monkey, we pore over the filings of nearly 750 top investment firms every quarter, a process we have now completed for the latest reporting period. The data we’ve gathered as a result gives us access to a wealth of collective knowledge based on these firms’ portfolio holdings as of December 31. In this article, we will use that wealth of knowledge to determine whether or not Broadcom Inc (NASDAQ:AVGO) makes for a good investment right now. Broadcom Inc (NASDAQ:AVGO) has experienced an increase in activity from the world’s largest hedge funds of late. AVGO was in 52 hedge funds’ portfolios at the end of the fourth quarter of 2018. 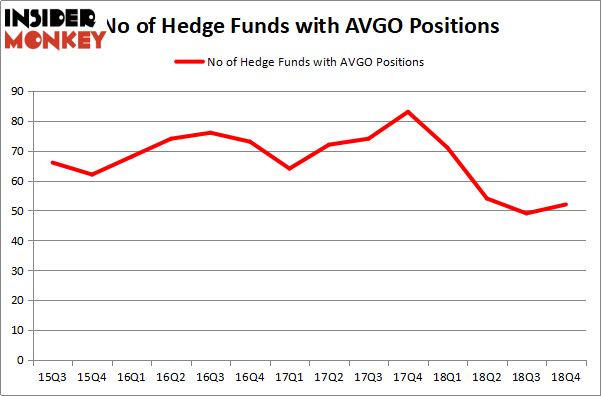 There were 49 hedge funds in our database with AVGO positions at the end of the previous quarter. Our calculations also showed that AVGO isn’t among the 30 most popular stocks among hedge funds. 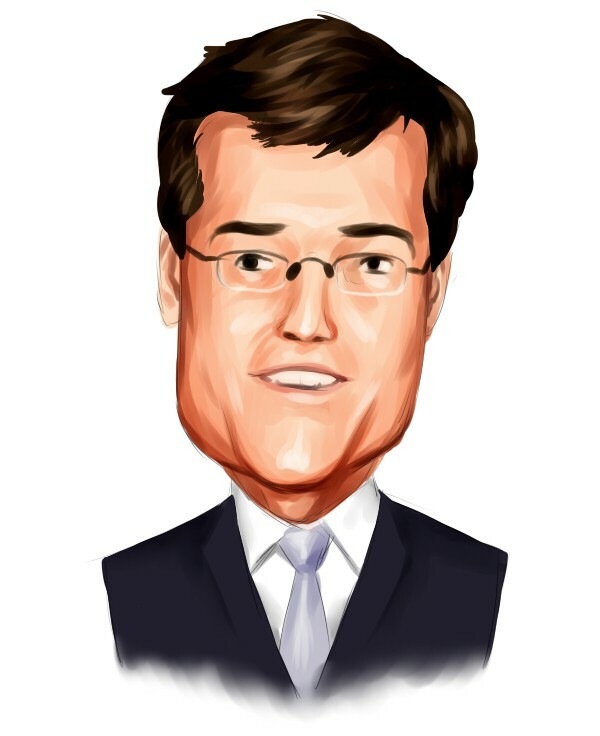 We’re going to check out the latest hedge fund action encompassing Broadcom Inc (NASDAQ:AVGO). How have hedgies been trading Broadcom Inc (NASDAQ:AVGO)? Heading into the first quarter of 2019, a total of 52 of the hedge funds tracked by Insider Monkey were long this stock, a change of 6% from one quarter earlier. On the other hand, there were a total of 71 hedge funds with a bullish position in AVGO a year ago. With hedgies’ positions undergoing their usual ebb and flow, there exists an “upper tier” of notable hedge fund managers who were boosting their holdings meaningfully (or already accumulated large positions). The largest stake in Broadcom Inc (NASDAQ:AVGO) was held by Coatue Management, which reported holding $479 million worth of stock at the end of September. It was followed by First Pacific Advisors LLC with a $461.6 million position. Other investors bullish on the company included SRS Investment Management, Citadel Investment Group, and Cantillon Capital Management. As one would reasonably expect, key hedge funds have jumped into Broadcom Inc (NASDAQ:AVGO) headfirst. Arrowstreet Capital, managed by Peter Rathjens, Bruce Clarke and John Campbell, assembled the largest position in Broadcom Inc (NASDAQ:AVGO). Arrowstreet Capital had $26.4 million invested in the company at the end of the quarter. Bruce Garelick’s Garelick Capital Partners also made a $12.7 million investment in the stock during the quarter. The other funds with brand new AVGO positions are Michael Platt and William Reeves’s BlueCrest Capital Mgmt., Charles Clough’s Clough Capital Partners, and James Dondero’s Highland Capital Management. Let’s go over hedge fund activity in other stocks similar to Broadcom Inc (NASDAQ:AVGO). These stocks are International Business Machines Corp. (NYSE:IBM), Union Pacific Corporation (NYSE:UNP), Paypal Holdings Inc (NASDAQ:PYPL), and Royal Bank of Canada (NYSE:RY). This group of stocks’ market caps resemble AVGO’s market cap. As you can see these stocks had an average of 55 hedge funds with bullish positions and the average amount invested in these stocks was $2477 million. That figure was $2932 million in AVGO’s case. Paypal Holdings Inc (NASDAQ:PYPL) is the most popular stock in this table. On the other hand Royal Bank of Canada (NYSE:RY) is the least popular one with only 14 bullish hedge fund positions. Broadcom Inc (NASDAQ:AVGO) is not the least popular stock in this group but hedge fund interest is still below average. Our calculations showed that top 15 most popular stocks among hedge funds returned 19.7% through March 15th and outperformed the S&P 500 ETF (SPY) by 6.6 percentage points. Hedge funds were also right about betting on AVGO as the stock returned 14.2% and outperformed the market as well.